As owners and users of garage door openers, we understand how important it is that your opener mechanism works well now and well into the future. That’s why our company’s services are tailored to addressing the most common problems that homeowners face with garage motor units that are not functioning the way they should be. We’re a company that takes pride in delivering professional repair, replacement and tune-up services to our local community. The feeling of being stuck outside your garage because the door keeps reversing or only opens partially can be frustrating, not to mention annoying. Angrily pushing the button on your remote won’t help, but calling us will because our repair technicians are skilled in correcting travel limits on all types of garage door openers. Before changing anything, the first step of our service involves checking that the blocking is not being caused by an obstruction, only then will we adjust the limits, taking care to maintain the balance of the door and ensuring that it opens or closes all the way. Limit switches can also break, resulting in a garage door that opens too fast. If this is the case, we are well-equipped to replace them or fix faulty wiring that could be interrupting the switch’s function. Sometimes damage to the door is not caused by the parts failing, but by its own forceful closing. We can help if you find that yours is slamming down. 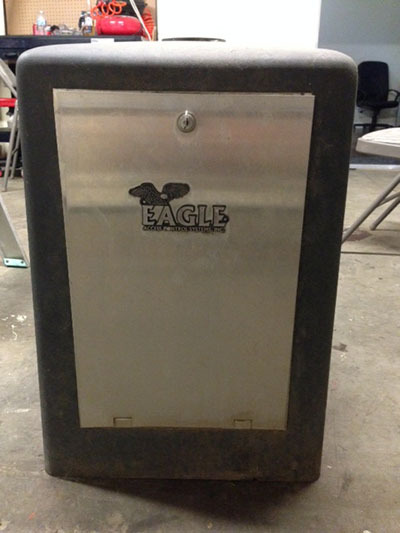 We provide a professional service that considers the weight of the door in making force adjustments to the opening mechanism, making sure to address binding on belt-driven garage door openers, or lubricating the chain on chain-driven units if this will be an effective solution to the problem. Because making force adjustments can impact how the safety reverse sensors operate, we will also check these important components to verify that they’re in good working order. Temperature fluctuations can wreak havoc with garage door openers, giving you the impression that the mechanism has failed when it actually hasn’t. Screw driven units are particularly sensitive to cold weather, with the grease becoming stiff in the track where the screw turns, while all types of mechanisms can seize up due to metals parts contracting. Contact us in the fall to do preventative lubrication maintenance to keep your door working smoothly throughout winter. The cold is not the only culprit, hot weather can cause the logic board in the opener unit to overheat, and sunlight can prevent the safety reverse sensors from working properly. Whatever the weather-related issue with your opening unit, our technicians can inspect and resolve it. 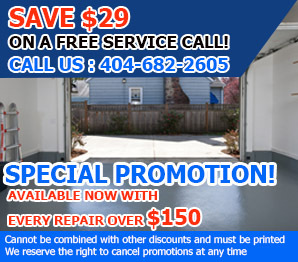 Call Garage Door Repair Atlanta now for fast, dependable service.